LOS ANGELES, CA (July 17, 2014) – Metro-Goldwyn-Mayer Pictures (MGM) has secured the feature film rights to Terry Hayes’ international bestselling espionage thriller “I Am Pilgrim” it was announced today by Jonathan Glickman, MGM’s president, motion picture group. Hayes, a former journalist and award-winning screenwriter whose credits include “Payback,” “Mad Max 2: The Road Warrior” and “Dead Calm” is adapting his debut novel for the screen. Lloyd Braun is producing the film through his Whalerock Industries. Andrew Mittman at Whalerock will serve as Executive Producer. “Pilgrim” is the codename for a man who doesn’t exist. The adopted son of a wealthy American family, he once headed up a secret espionage unit for US intelligence. Now in anonymous retirement, he is called upon to lend his expertise to an unusual investigation but ultimately becomes caught in a terrifying race-against-time to save America from oblivion. “In creating such an original character in such a riveting, relevant story, Terry has provided us a great template for not only one film, but for a series that can play to global audiences for many years to come,” said Glickman. "Having written and produced movies myself, the most important thing for me when it came to selling the film rights to Pilgrim was the people who would be involved. Luckily, it turned out better than I could have ever imagined - I have had the pleasure of working with Gary Barber and Jonathan Glickman previously and I have long been an admirer of Lloyd Braun and the wonderful material he has championed. I couldn't be happier that not only this book, but those which are due to follow, is in their hands," said Hayes. Hayes is represented by WME and Hansen, Jacobson, Teller, Hoberman, Newman, Warren & Richman, LLP. Emily Bestler Books/Atria Books, a division of Simon & Schuster, is the U.S. publisher of “I Am Pilgrim” and Transworld, a division of Penguin Random House, is the novel’s UK publisher. 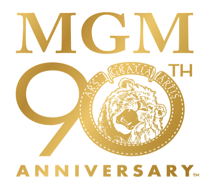 MGM’s Glickman and Matt Dines, vice president, production will oversee the project on behalf of the studio. MGM will be in theaters next with Hercules, starring Dwayne “The Rock” Johnson and directed by Brett Ratner, on July 25 with Paramount Pictures. The studio’s romantic film If I Stay, starring Chloe Moretz, is scheduled for release August 22 with partner Warner Bros./New Line. Also with Warner Bros./New Line is the final film in The Hobbit Trilogy, The Hobbit: The Battle of the Five Armies due in theaters December 17. Hot Tub Time Machine 2 with Paramount Pictures will also arrive in theaters nationwide on Christmas Day.